A friend was over the other day having his 8d tweaked and he said that I should upload a pix of the shop, or in this case my workbench, which is a 4X6 drafting table acquired from U Of M’s property disposition. I used to have it in my classroom and it was always about 6 inches deep with papers, projects, etc, now it’s covered with horns in progress. This work room is 7 X 10 feet….The root cellar is the other, dirty part, of my facility. Really upscale around here….. 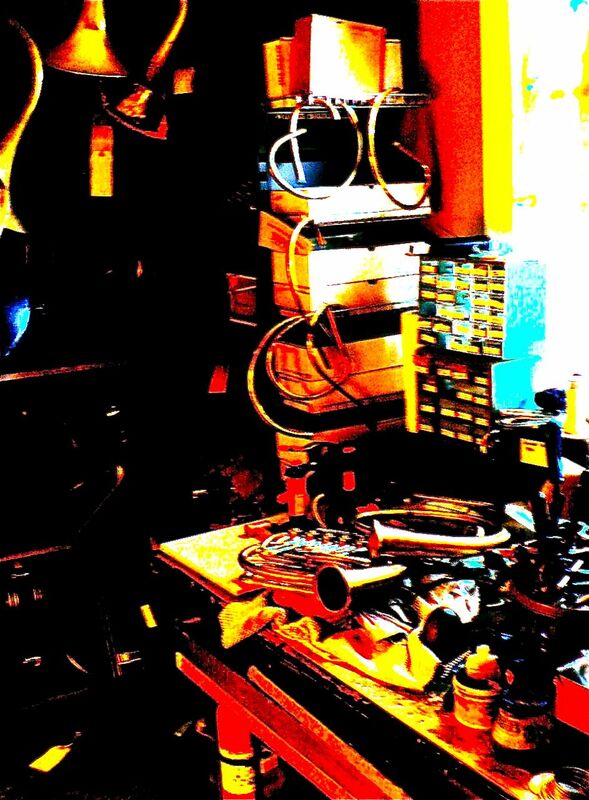 The Mad Horn Doctor’s lab….